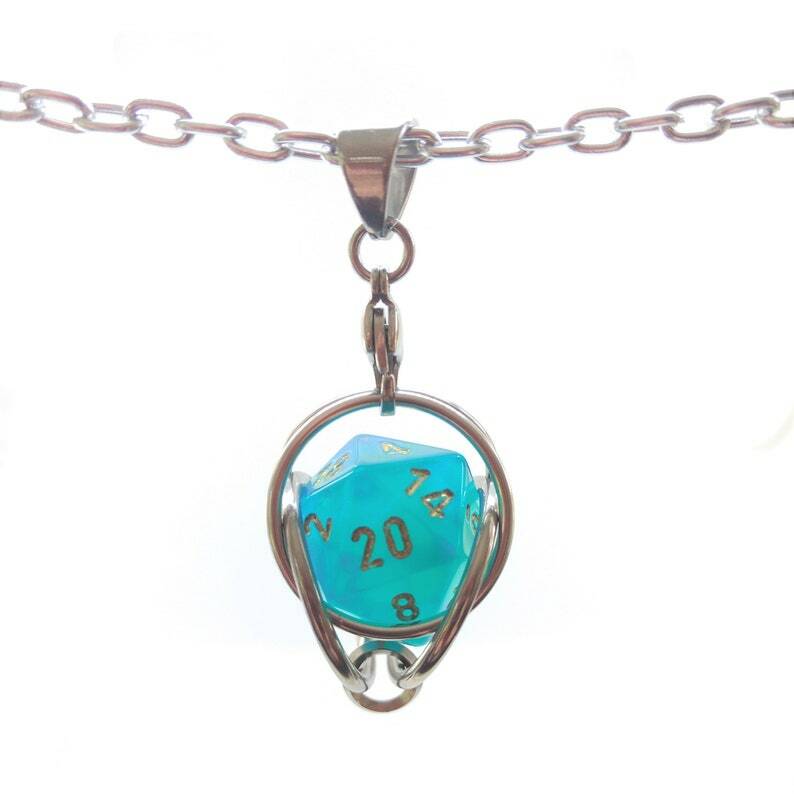 Do you love a good game of D&D? Do you always worry you might encounter a situation where your fate depends upon the roll of a dice? Then this pendant is for you. Wrapped in stainless steel rings, this pendant allows you to open and remove the die and replace it as necessary (or swap out for your own die). Cage a dice that won't roll anything but 1s or showcase a star die that gave you 5 critical successes in a row. Chose your choice of Chessex die color and finish. Check out Pictures 2-4 to see the available options. To remove the die, simply open up the clasp at the top of the pendant and unfold the rings. To close, return the dice to the middle of the rings, fold the rings around it, and clasp it in place. See pictures 7-10 for instructions. Each piece comes packaged in an attractive foil gift box lined with cotton batting - perfect for gift giving! Shipped quickly. Looks just like photo. Thanks. Shipped on time, easy to replace, and a nice die!